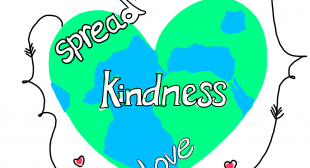 How cool has Kindness Week been? I have absolutely loved it. 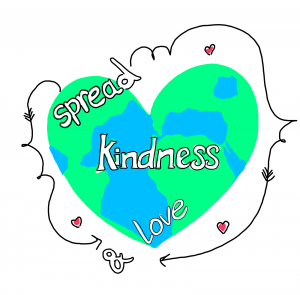 Looking out for those random acts of kindness, helping people, seeing the lovely reactions of people and most importantly the power of the group in sharing their acts of kindness. It was so empowering to see the power of a mastermind. It made me feel so good actually looking out for and doing those acts of kindness, so much so that I shall be continuing to do so from hereon in. It just gives me a warm fuzzy feeling to be making all random acts of kindness. I have really bought into the power of the mastermind now. My friend John and I speak for a short time each morning to reflect on how each of us did the previous day and to discuss what each of us plan to do on the current day. It is quite brilliant as it is challenging both us to hold ourselves accountable for our daily activities and if you’re not doing enough, it’s just plain embarrassing to have to admit to your inactivity all the time. I had previously set up a mastermind with a colleague but we would meet in a bar early on a Friday and inevitably our mastermind would simply end up as a chat over a beer and it just wasn’t effective. A short daily mastermind is proving to be both effective and very, very useful. Every week, the Master Key Experience is helping me to be a better me. Happier, healthier, busier, more efficient and effective. I just know that whilst I am a work constantly in process, the MKE is helping me enormously.